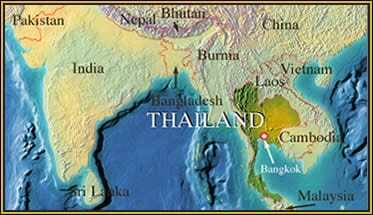 Location: Thailand is home to an extremely diverse herpetofauna with elements of South and South East Asian faunas. 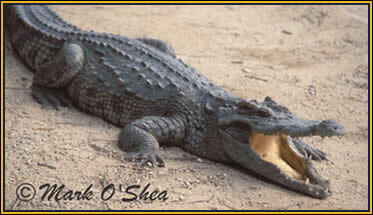 The Siamese crocodile, Crocodylus siamensis, is one of the World’s most endangered crocodiles. A freshwater species with isolated populations in several S.E.Asian countries, the Siamese crocodile is almost extinct in the wild in the country for which it was named, Siam, now called Thailand. They were hunted heavily for their skins through the late 19th and early 20th centuries, and the remaining wild animals were collected and moved to newly established crocodile farms. Although large captive populations still exist, many farm populations have been genetically diluted by deliberate or accidental hybridisation with Saltwate r crocodiles, Crocodylus porosus. Yosapong Temsiripong is a young Thai crocodile biologist dedicated to re-establishing the national crocodile back in the wild. To achieve his dream he must not only find a suitable and safe location with abundant prey, nesting beaches and habitat, but he must also identify pure-bred Siamese crocodiles in the farm populations from which to draw his colonists. Although there are characteristics which can be used to separate pure Siamese crocodiles from pure Saltwater crocodiles, the large number of hybrids with variable characters in the farms means that Yosapong must rely more on DNA than visual differences to locate his founder stock. The other problem concerns where to establish the new population of Siamese crocodiles. The ideal location would be somewhere with an existing wild population but with room for a growing population, somewhere remote, pristine and biologically diverse. The answer may have appeared in an unlikely manner. Whilst surveying the Phetchaburi River valley, Kaeng Krachen National Park, for tigers using remotely triggered camera traps, biologist Tony Lynam (Wildlife Conservation Society, New York) found himself looking at a very important photograph. On the 37th frame of a 36th frame film he saw a subadult crocodile striding purposefully across the sand bar and into the water, taking its own photograph in the process. An existing population of crocodiles in a remote region could be exactly what Yosapong Temsiripong is looking for. Yosapong, Tony and Mark set out to travel down the Phetchaburi River in an effort to gather more data on the crocodile population and hopefully trap one for a DNA sample. It is a large-scale expedition, eight boats, 23 people, 1,000kg of equipment, eight days, over 17 miles. The Siamese crocodile (Crocodylus siamensis) is almost extinct in the wild but very common in croc farms. However they were hybridised with Saltwater crocodiles (C.porosus), for the quality skin of the Siamese combined with the rapid growth of the saltie. As they make preparations for their expedition down the Phetchaburi Mark and his team receive word of another crocodile sighting on the river that they feel should also be investigated.